This young family, including two boys, realized they wanted their home to better fit their lakefront lifestyle. They asked NewStudio to improve the layout for better traffic flow and waterfront views. 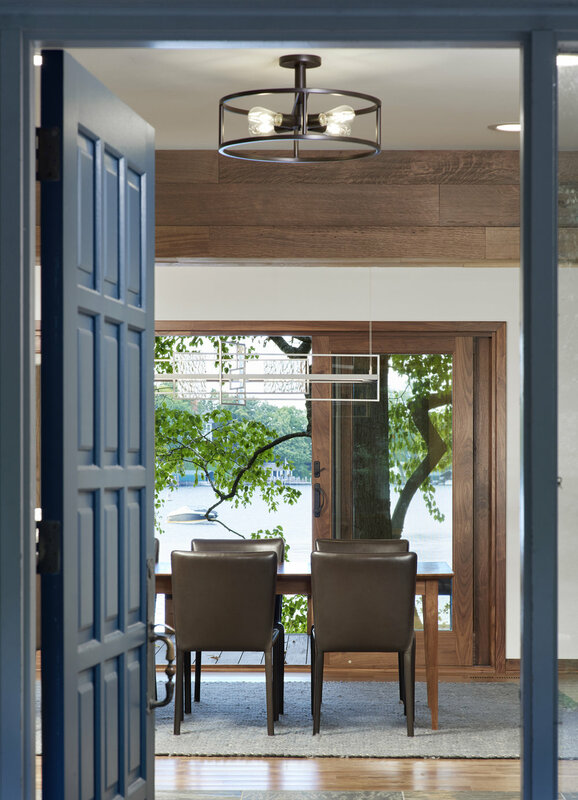 The team flipped the living and dining room, opened the kitchen, and designed a modern main staircase. Upstairs, the guest and boys' bedrooms and an existing bathroom were refreshed and a new bathroom was added. For fun (and bare-foot practicality!) a LEGO® room was installed behind a hidden bookcase door. 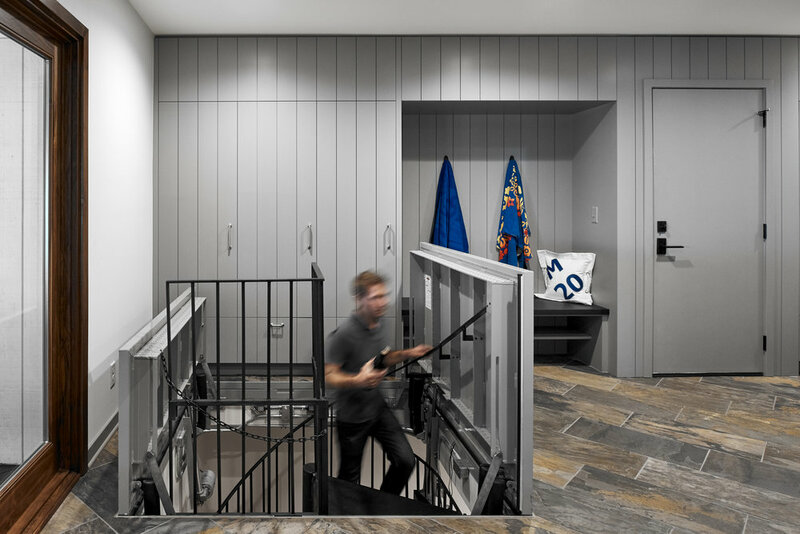 On the lower level, the remodeling project included new facilities for the homeowner's sailing team to clean up after races, plus a hidden wine cellar, custom spiral staircase, and a trap door. Indoors and out, now it's a place for everyone in the family to enjoy.